The Incredible Creatures Collection from Safari Ltd. features extra large, soft, playful, true-to-life vinyl replicas of some of the most amazing creatures in the world. 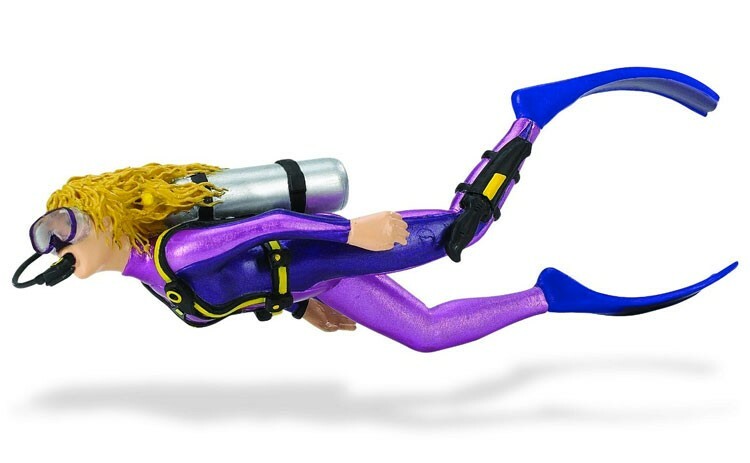 This one features Michelle, the underwater adventurer, a daring SCUBA diver. SCUBA diving lets you explore incredible undersea worlds and interact with marine life. 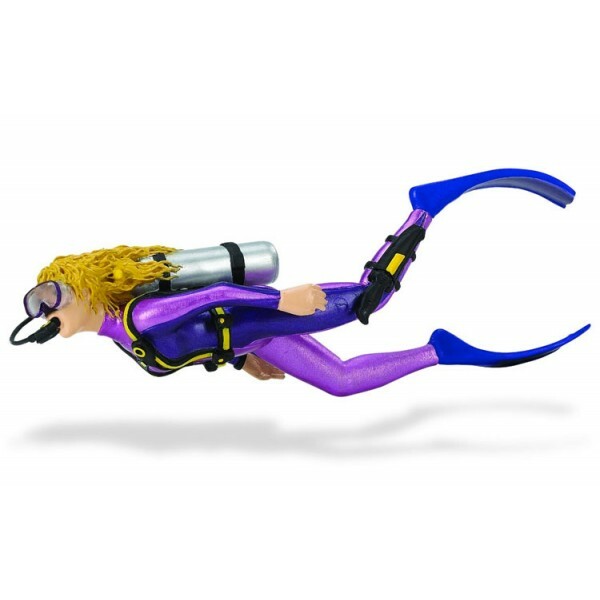 This 7" replica is finely hand painted and accurate down to the last detail — perfect for your little underwater explorer. She can play with it on land or, better yet, use it as a tub toy!